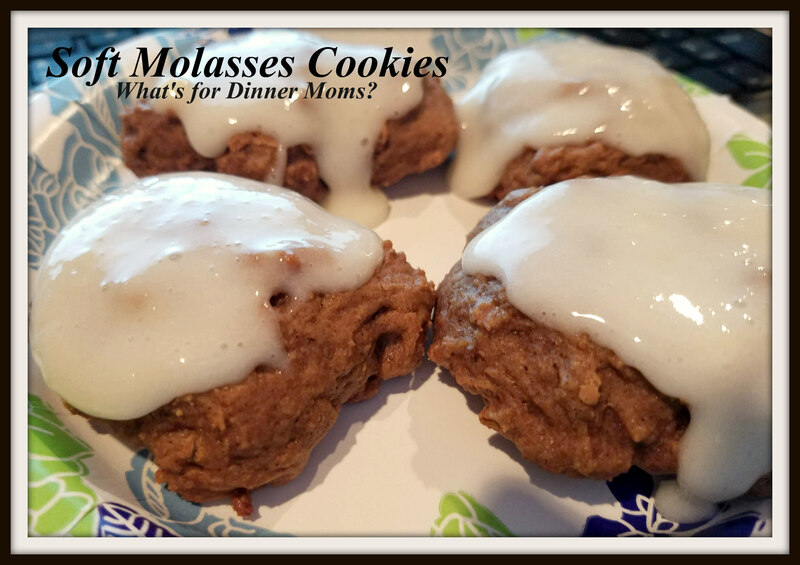 Week 1 Christmas Cookies: Soft Molasses Cookies – What's for Dinner Moms? It’s finally time for me to crank up the Christmas songs and start getting ready for Christmas! I love the holiday season and try to stretch it out as long as possible. I freeze lots of cookies to take to my family when we visit and to parties. My plan this year is to write about one of my cookies/candies each Friday to Christmas. I hope you will all follow along to see all the baking we do! These are one cookie that we can all agree on are one of our top three favorites. The molasses cookies are soft and not at all dry. They have lots of flavor but they are not overpowering. I used a cream cheese glaze over these (to show you how they look iced) but we prefer a heartier cream cheese frosting or plain rolled in coarse sugar before baking. A super soft chewy cookie with tons of flavor! In a large mixing bowl beat together the butter and sugar until it is light and fluffy. Mix in the eggs and molasses to the sugar and butter mixture. Combine the flour, ginger, baking soda, cinnamon, cloves d salt; gradually add to creamed mixture and mix well. Shape into 2-in. balls and roll in coarse sugar if desired. Place 2 in. apart on ungreased baking sheets. Bake 13-15 minutes or until tops are cracked. Freeze unfrosted cookies in a tightly sealed container or serve fresh. Cookies and the holiday season. A classic combo. These look very nice, Marci. I love the holiday season so much. Enjoy the time, Marci! 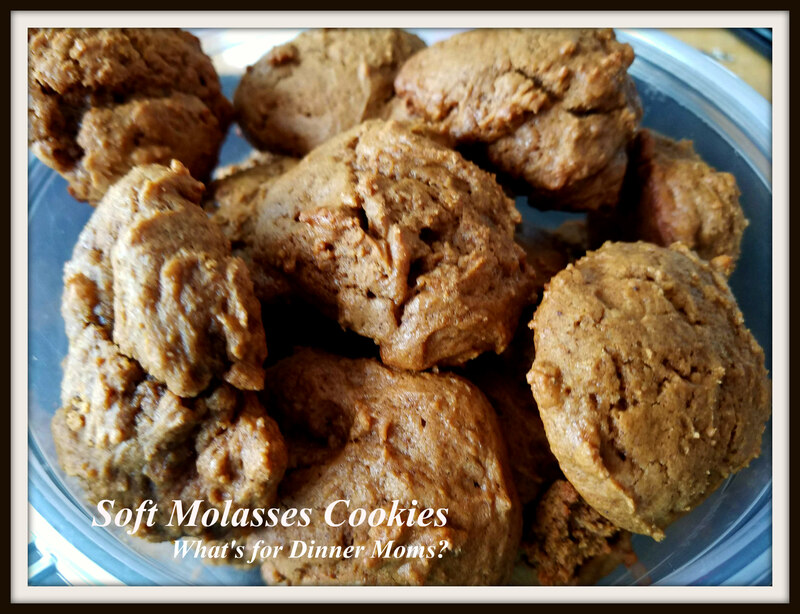 Soft molasses cookies is one of my favorite cookies since childhood. Thanks for sharing your recipe.